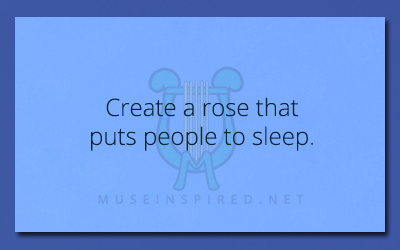 Fabricating Flora – Create a rose that puts people to sleep. Fabricating Flora - Create a gourd that tastes terrible. Fabricating Flora - Create a desert plant that doesn't have spines. Fabricating Flora - Create a type of clover that resembles snowflakes.